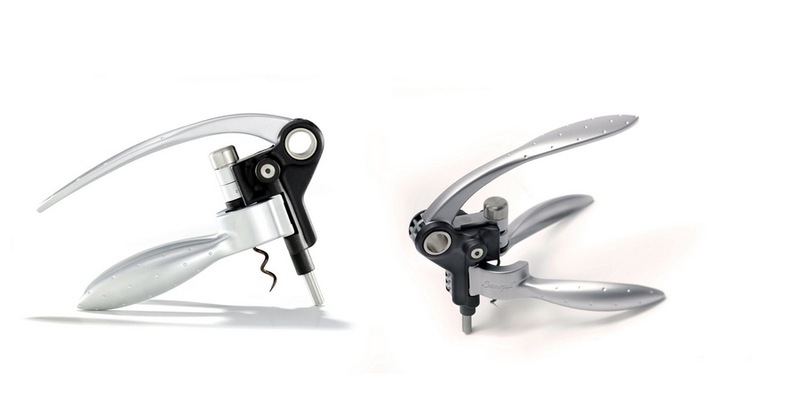 This is the other version of the Screwpull Pocket Model Corkscrew, with only one difference – the handle. 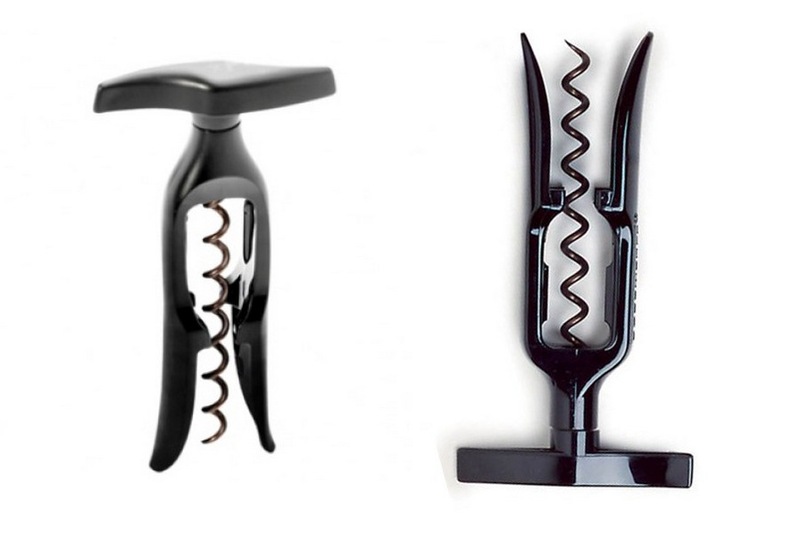 The Screwpull Table Model Corkscrew is an affordable, basic corkscrew with a good design to avoid pulling and breaking corks. This wine opener doesn’t look cool at all. On the contrary, it looks and feel flimsy. But it works beautifully getting the corks out! That’s because Screwpull designed it to need no pulling or rough handling during operation. All you need to do is to fit this corkscrew wine opener over the bottle until the little ledge that stops it from going deeper, then turn the handle. Smooth, coated worm ensure effortless insertion and no broken bits of cork in the wine. Keep on turning the handle in one direction and the cork is out before you know it. Isn’t that easy? You just have to turn the handle around and there’s no pulling involved whatsoever. 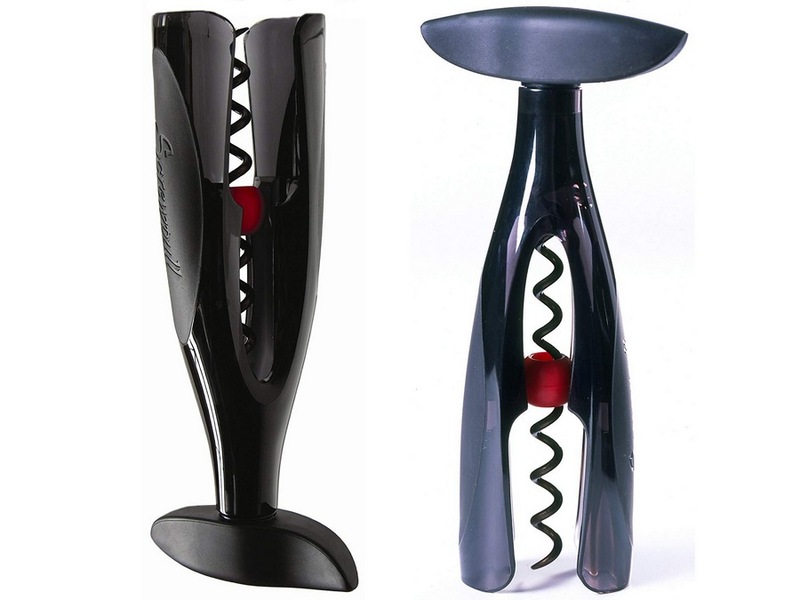 Anyone can use this Screwpull Table Model Corkscrew, even elderly people with arthritic hands. Slow and steady does it. This is one of those super long lasting models with few parts to break, but those who break it are usually trying it on plastic or synthetic corks. The dense and sticky plastic corks grips the worm too tightly and breaks the worm. 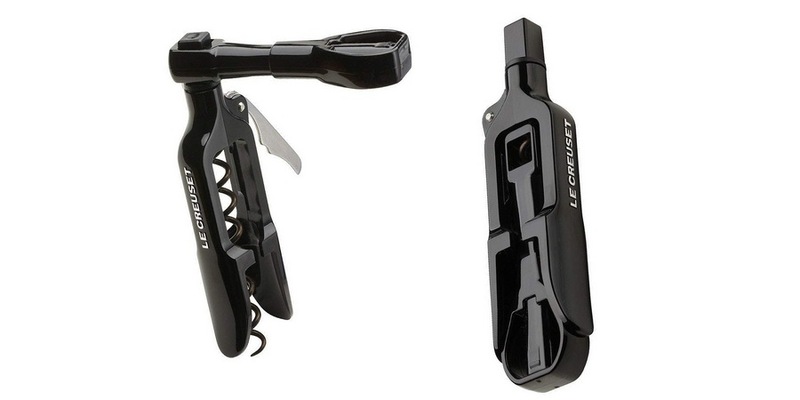 Like I said, this Screwpull Table Model Corkscrew is similar to the pocket model, and the price is the same. Which one should you get? Other reviewers have mentioned that the pocket model is slightly more compact for storage. Other than that, I’d say just think about how you would like the handle. For the pocket model, you can turn the handle using one finger, going round and round without stopping, but this table model feels steadier with a centered lever.